do you like the idea to hang spiky points on your ears or around your neck? 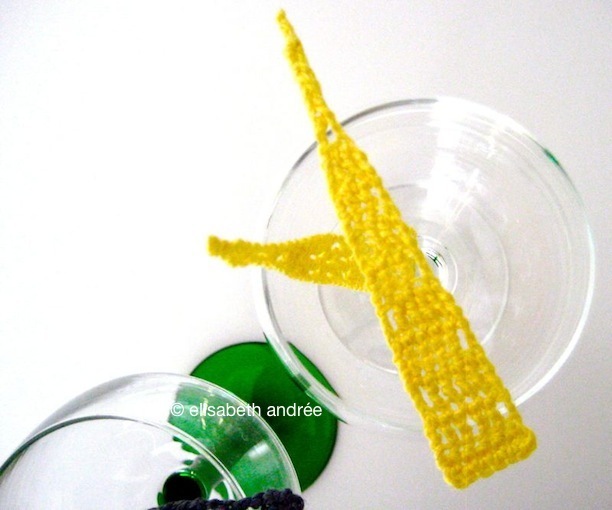 how to crochet the spiky points. when you’ve finished them soak the points in a mixture of 50/50 glue and water. remove them from the mixture and squeeze out as much liquid as possible as you smooth them between your fingers. then pat dry in tissue paper or paper towel and lay them flat in a square glass dish. let them dry and ready they are. attach them to earrings or on a necklace. the glue you use is water soluble which means that it gets sticky or liquid again when you walk or cycle in the rain, for example. a textile hardener like paverol is a safer option. 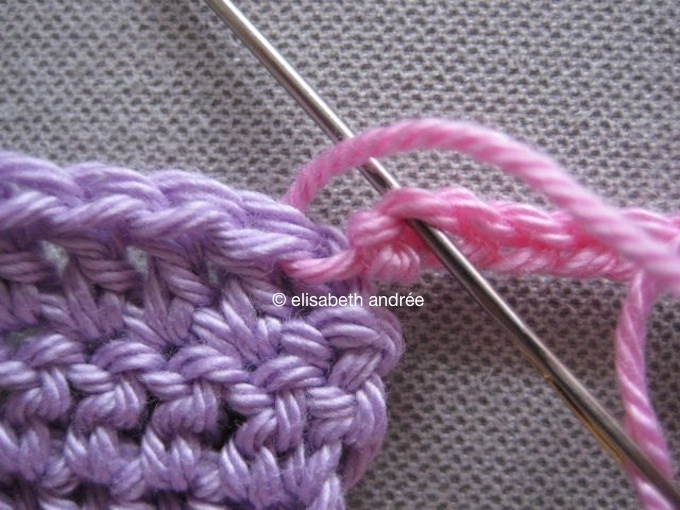 if you’ve crocheted the points then make two rows of single crochet and only then fasten off. so after the last treble of the pattern make 1 ch, turn, *1 sc into the first stitch and in the next 5*, 1 ch, turn, repeat between * and * once more. 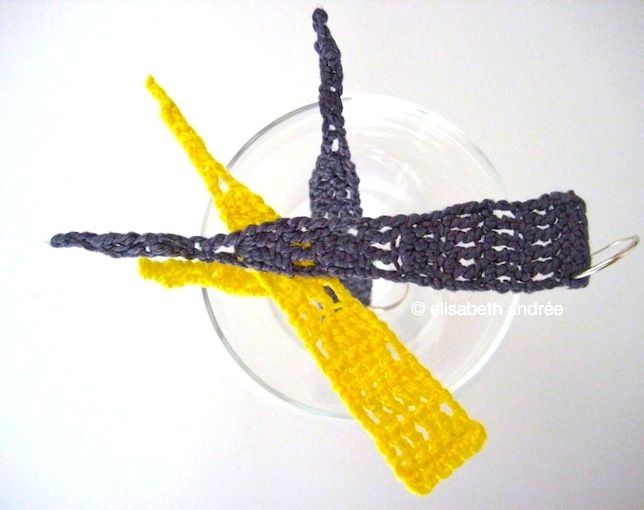 Categories: crochet, tutorial | Tags: earrings, jewelry, pointy, spiky, spiky points, tutorial | Permalink. 1. you always work with cotton or acrylic, why not with wool? i am allergic to many things and wool is one of them unfortunately. 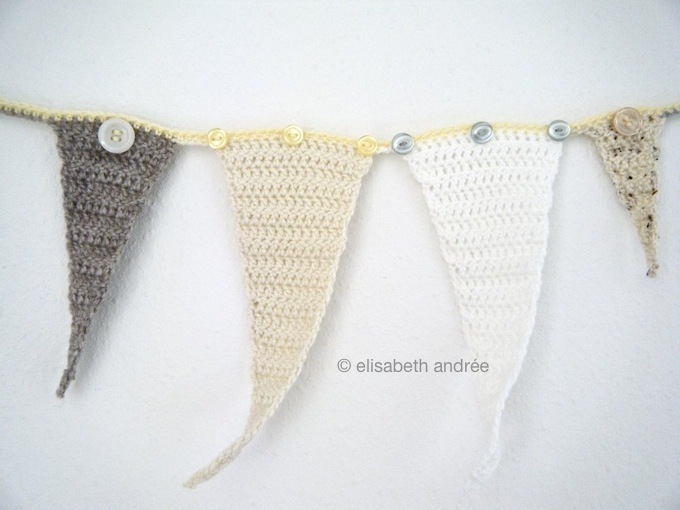 2. i think the pointy bunting is very nice, do you have a pattern for points that are more spiky? sure, look at the picture. i’ve based the pattern on an insert on the back of a crochet dress (sorry, no picture of the dress, i lost it). 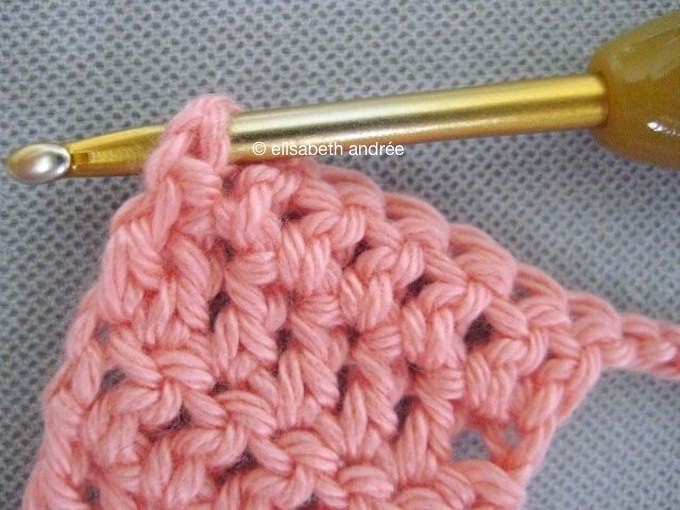 at the beginning of a row you have to replace a stitch by a number of chains, for example 4 ch for a treble. i’m used to crochet 1 ch less, in this case 3 instead of 4 ch. 11,12. same as row 10, but at the end of row 12 make more chains if you wish. tomorrow will be my last post about bunting for a while. next week a very different project for you. 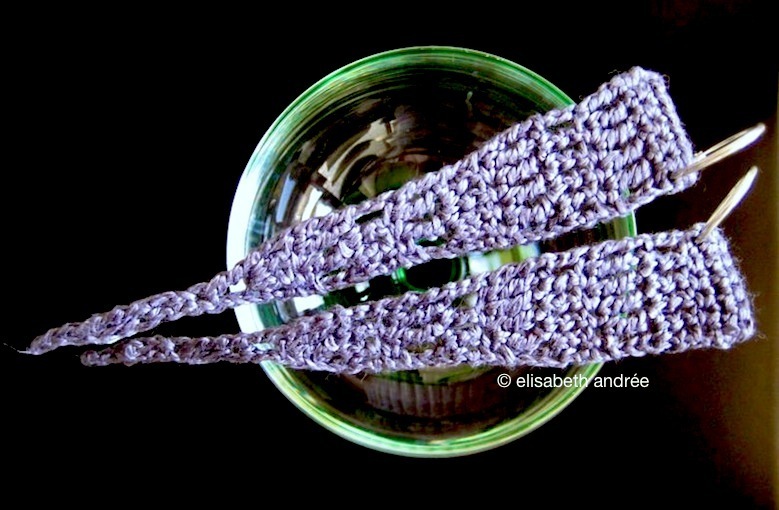 Categories: crochet, tutorial | Tags: bunting, garland, pointy, spiky, tutorial | Permalink. here you see the points at the ends of a scarf i’ve worn a lot this winter. i had seen a picture somewhere on flickr of a similar scarf and i figured out how i could make this scarf for myself. it looks like an elongated triangle and it measures about 2.5 meters, it is warm en soft and lovely to wear. 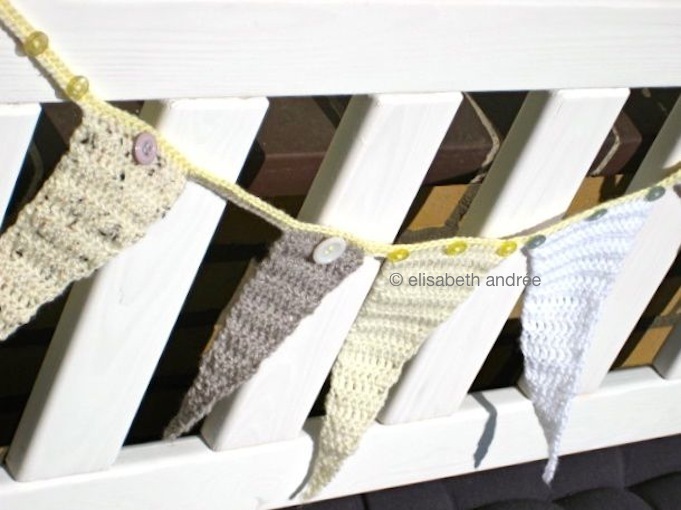 tiff of dottie angel has created a new bunting and when i saw the pictures the first thing i thought was: hey that’s just my scarf, and right away it seemed like inspiration itself was playing ping pong in my head. the result is a bunting inspired by dottie angel. 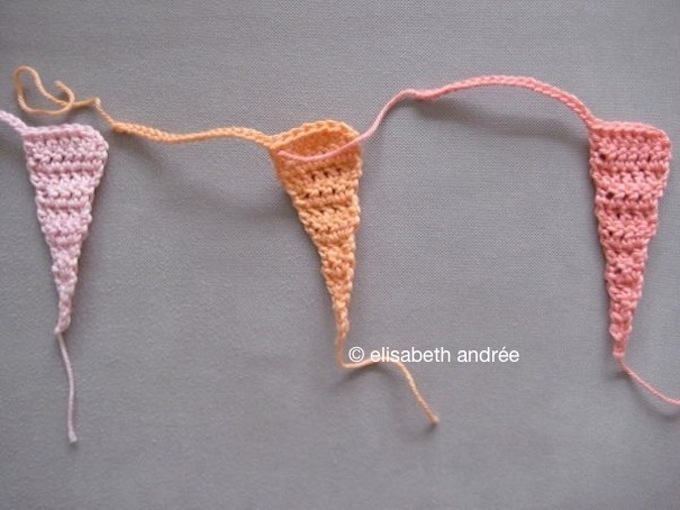 pointy bunting: how to make one? continue crocheting row 6, 7 and 8 to make the point (=flag) larger (increase every third row with 2 stitches). a. make all points equal or give them different sizes. at the end of each point make a number of chains which creates the distance between this and the next point, later you will sew this chain to the next point. b. when your bunting is long enough make a number of chains of the same color as the first point of your bunting, that’s because you don’t have chains on that side. sew it to the first point in the same way as you did with the other chains to the other points. use my photo’s for reference. c. attach another color to the beginning of your bunting and make 2 ch, 1 h dc in third chain from hook and in every stitch till end of row. d. weave in all ends. 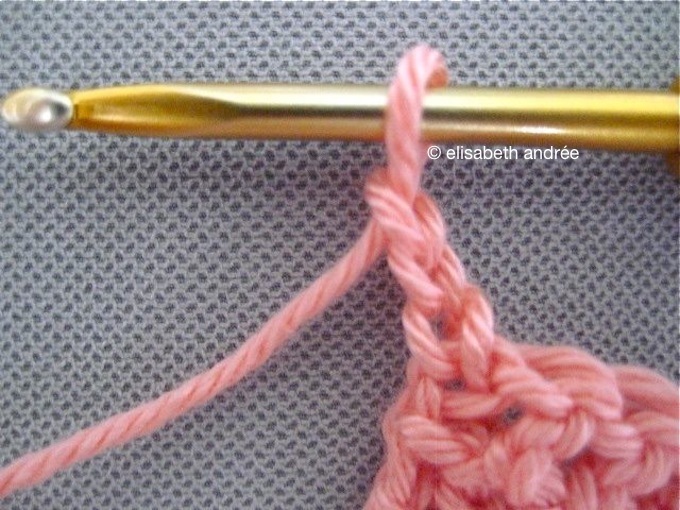 you can use the ends of yarn at the tips of the points to attach beads or buttons. 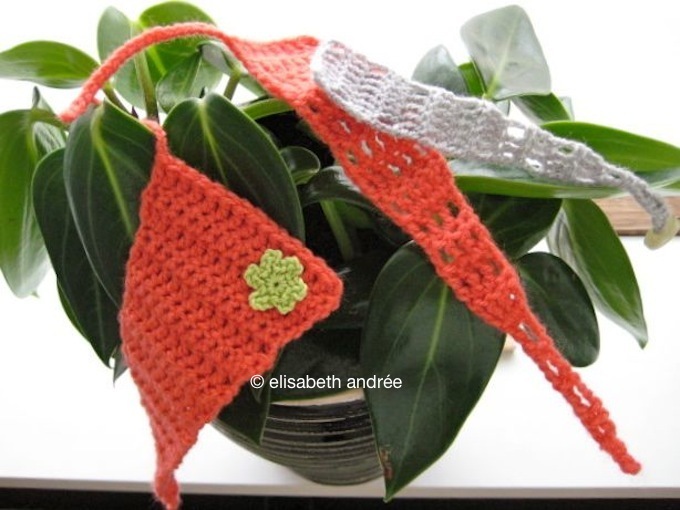 Categories: crochet, tutorial | Tags: bunting, garland, pointy, tutorial | Permalink. like to make the teeth? Categories: crochet | Tags: garland, pistachio teeth, pointy, spiky, spring garland, tutorial | Permalink.